Quoting the Algerian Parliament press release, the leading Algerian French-language daily "El Moudjahid" ran an article on the meeting between Serbian Ambassador Aleksandar Jankovic and newly-elected President of the Parliament's Lower Chamber Mouad Bouchareb. In an interview with Il Piccolo daily, the new Serbian Consul General in Trieste, Ms. Ivana Stojiljkovic, underlined that she would make a special effort to enhance the trade in goods with Italy and to further promote the good relations with Italian institutions and officials. 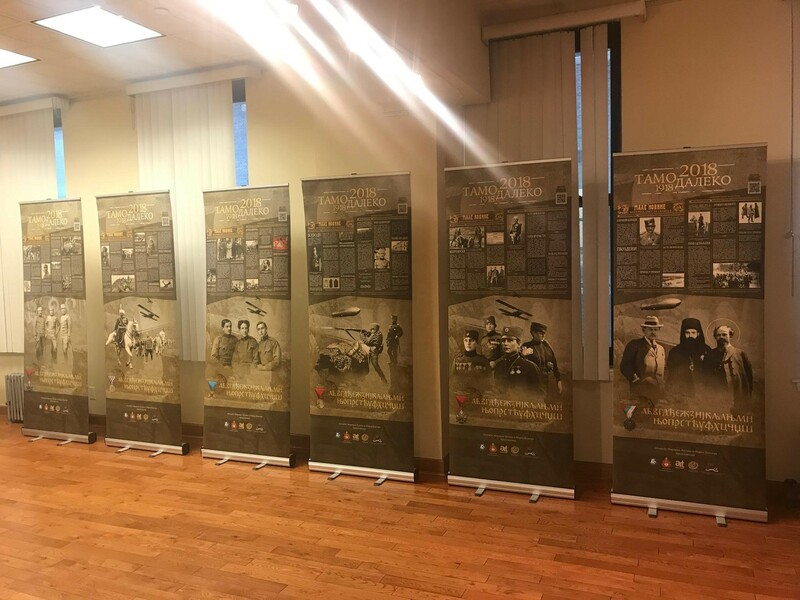 New York: Exhibition "Far Away 1918-2018"
On 17 January, exhibition "Far Away 1918-2018" was shown at the Consulate General of the Republic of Serbia in New York, in the context of the series of cultural events marking the hundredth anniversary of the end of WWI. Traditional conference devoted to famous scientist Nikola Tesla was held on 12 January in New Yorker Hotel, co-organized by the Tesla Science Foundation from Philadelphia and the Consulate General of Serbia. Tourist attractions and places of cultural interest in Serbia were presented to the owners and head teachers of private primary and secondary schools in New Delhi so that they could send their students on school trips to our country. The presentation at the Embassy of Serbia was done by Ambassador Vladimir Maric and his Deputy Ljiljana Belojevic, who, apart from tourist attractions, also promoted sports camps. The event was hosted in cooperation with "Ev links" company, which already organizes trips to Serbia.